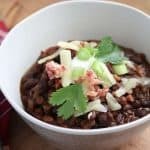 Cozy up to the fire on a cold rainy day with a cup of this delicious Instant Pot Lentil and Bean Chili! Simple, easy to make, yet filling. I love to serve it with my homemade focaccia. Because the chili is low in calories and points, you can serve it with a few pieces of luscious bread and a salad on the side and still stay within your point range. 1 Smart Point per 1 cup of chili. Freeze it into small portions for a quick, healthy meal later. Great for a party! Appeals to everyone! 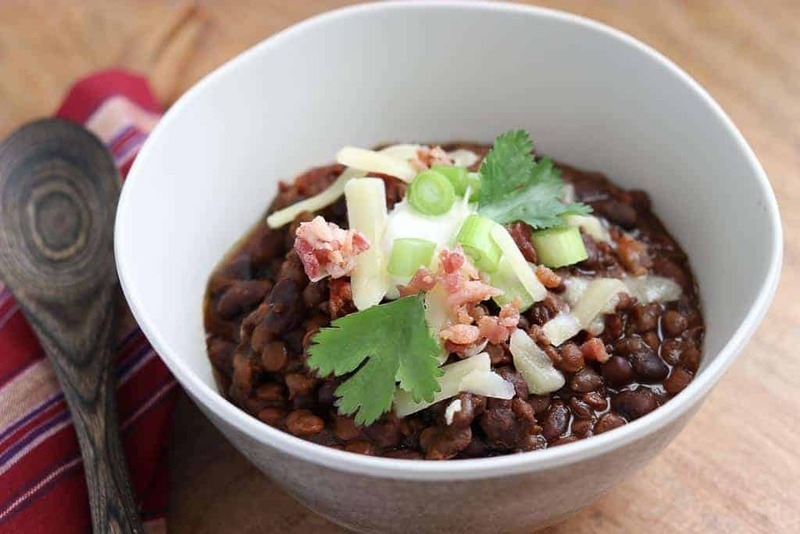 This healthy Black Bean and Lentil Chili is a perfect chili/soup to serve at a party. Have a variety of toppings available. This dish appeals to everyone, including meat lovers, vegans and vegetarians if you allow guests to personalize their bowls by choosing their own toppings. You can always add chicken or beef if you want to add meat. Should you soak the lentils before cooking? No need to soak first! Because you are using high pressure with the Instant Pot, the lentils and dry beans cook fast. Be sure and used the correct amount of liquids listed in the recipe. The lentils and the black beans soak up a large majority of the liquid. 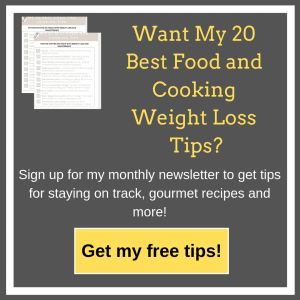 How do you cook lentils in the Instant Pot? For this recipe, you just put them in the pot with the rest of the ingredients. By using the pressure cooker on the Instant Pot, the lentils cook fast! If you were to do it on the stove, it would take much longer and you would need to soak the beans overnight. How long does it take to cook lentils in the Instant Pot? Not long! Only 30 minutes from when the Instant Pot begins to pressurize.  Freestyle Smart Points:1 Smart Point per 1 c.
This is a great chili to make ahead and freeze. It’s so fast in the Instant Pot. Perfect when you want a low point filling lunch or dinner. Comfort food and so yummy! Smart Points: 1 smart point for 1 c.
Press, “Saute,” on Instant Pot . Spray liner with oil from oil mister. Add onions and saute until soft. Add garlic and saute a few minutes more. Do not let garlic burn. Add remaining ingredients to the Instant Pot (except for toppings). Stir. Cover with lid and make sure vent is set to sealing. Press “Soup,” and cook 30 minutes. Release pressure. Taste and adjust spices if necessary. Serve with toppings, allowing guests to choose their own to top their chili. No Replies to "Healthy Black Bean and Lentil Chili"